Czech crown lands, although after White Mountain relegated to the periphery of history, but it never stopped attending eminent men of science and art. 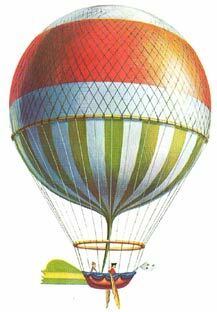 Thanks to our forefathers had the opportunity to see first hot air balloons relatively soon after the brothers first flight Mongolfiere. 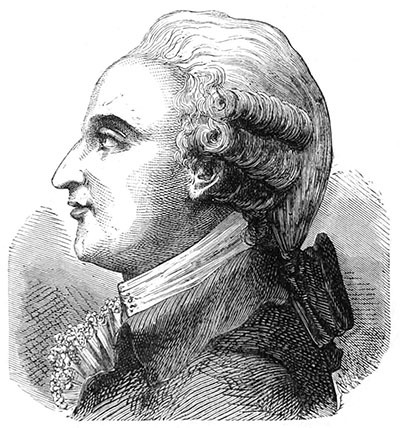 Blanchard arrived in Prague in September 1790. The period also saw print even name the hotel where he was staying - it was a company called "The Spa" at Mala Strana. Takeoff balloon was announced on October 31 the same year from the Royal Park (today's Stromovka). The public has also learned that in addition to the heroic balloonist will also be attended by "unnamed noble gentleman with a penchant for science." Incognito is soon revealed - as a noble gentleman was hiding Count Joachim Sternberg (1755-1808), brother of the better-known researcher in the field peleontologie and botany, patron of Sciences and founder of the National Museum of Kaspar Sternberg. Like brother Joachim was also a lover of science. Therefore, the recalled several years, barometers, thermometers and other scientific instruments. From his pen also preserved a detailed account of the first manned flight with us. It is obvious that the aeronauts escaped only by a miracle. The balloon rose above the cheering crowds for Praguers deafening firing mortars. For spectators on the ground apparently was uplifting spectacle of men in a balloon but soon became hot. Gust yanked "powjwtrnau Kauli" so that the gallery looked not only scientific instruments, but also nearly two balloonists. Soon it became clear that turbulence was the harbinger of even worse things - the balloon was in thermals and heading inexorably to greater heights than he wished Blanchard. Alcohol did not help extinguish the flame. So a little hot-headed Frenchman hastily cut through the packaging and in the train there was another problem: the machine began to fall so quickly that it soon resembled a crash. It managed to slow down only at the cost of sacking all they could spare. The balloon finally landed happily in Bubeneč, but Sternberk you when it smashed head, according to contemporary reports, he "blood streaming from his ears and nose." Already in the evening, however, he felt well enough that their adventures recounted table from his scholarly friends.